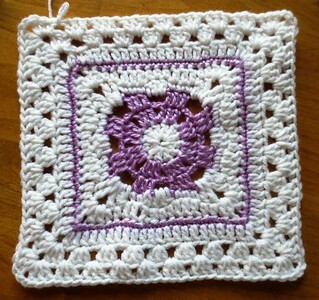 The result is now an 8 inches square which you can just continue working in the granny stitch method. To begin each new row, just slip stitch over to the corner space and chain 3. Then work 2 more DC in corner, chain 2, and 3 more DC in corner space. After that you simply need to work 3 DC in between each set of DC clusters and join with a slip stitch to the beginning chain 3 where you started. 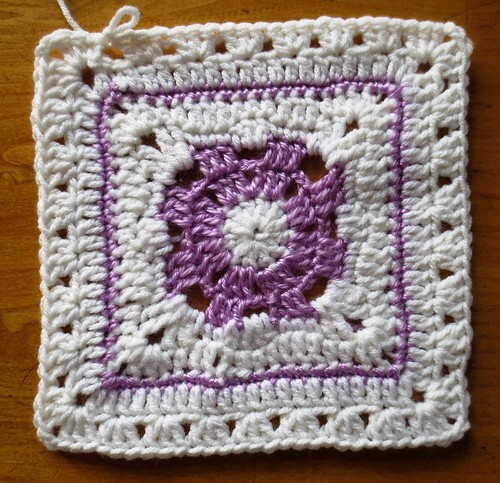 Here is the original Margaret Square after working the pattern as written through row 7. The width at this point was 7 inches. 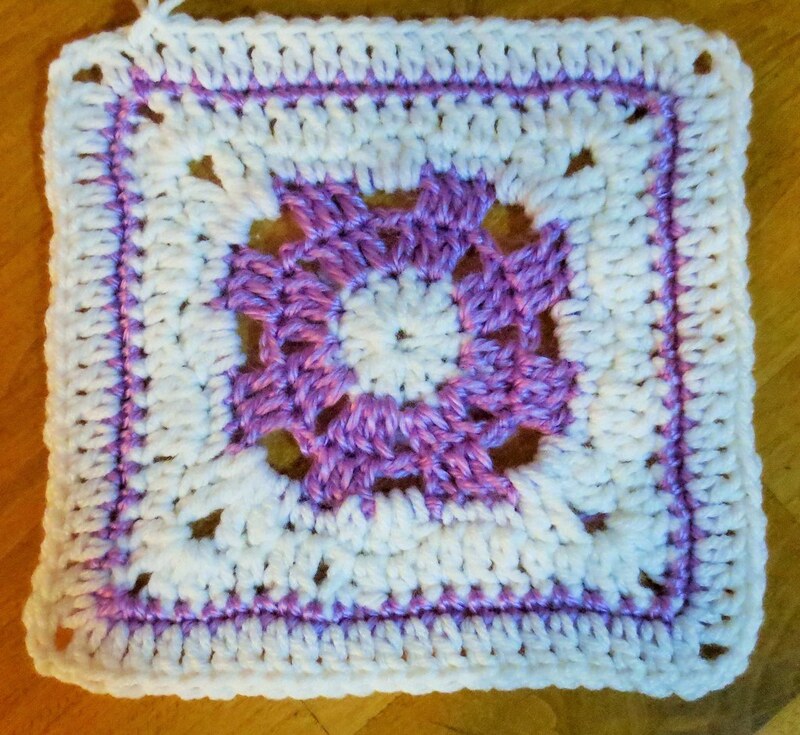 Here is the square after another row of granny stitches. And lastly here is the final photo of the baby blanket I created using the Margaret Square and adding the rows of granny stitches. 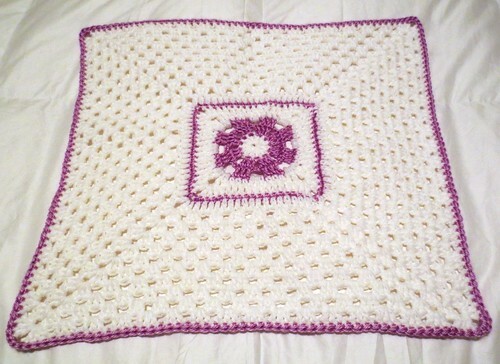 I crocheted to 18 inches wide and added a row of trim in the lilac yarn by doing single crochet stitches around the blanket and 3 single crochet stitches in the corner spaces. Wow this is a great article. 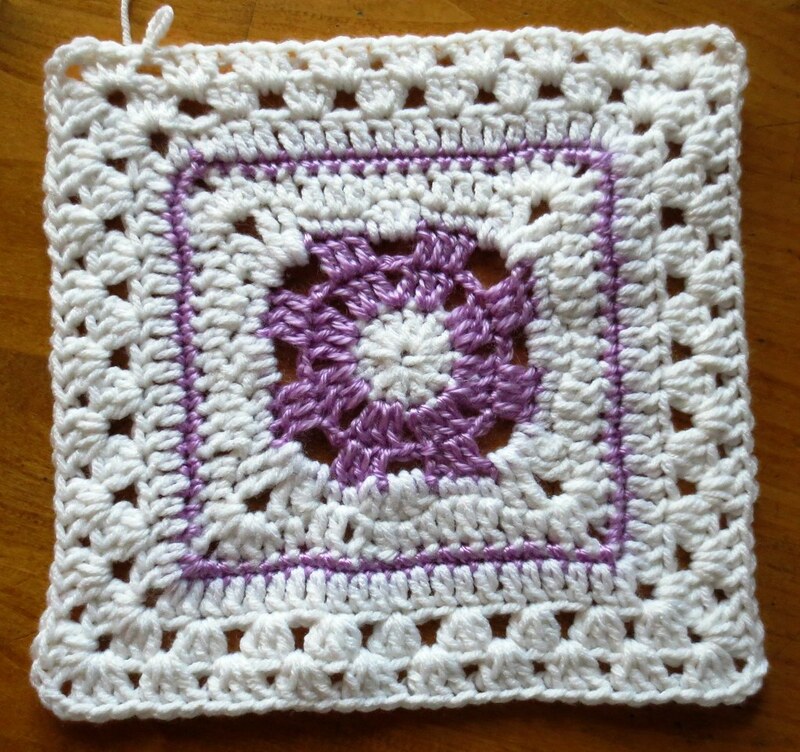 I haven’t had much luck with granny’s but can sometimes make a good square. I will need to try this method next time.